Montreal is one of our favorite North American cities to visit, especially in the summer. The city has a unique feel and excellent restaurants to indulge your culinary senses. AAdvantageGeek reminds us that American Airlines offers discounted travel on a quarterly basis for American Airlines card holders. You can see the latest discounts available on their website. As you can see above the discounted award travel includes Montreal, one of our favorite cities in North America. The coach tickets go for only 17,500 AA miles per ticket round trip and the premium cabin tickets go for only 42,500 AA miles per ticket round trip. 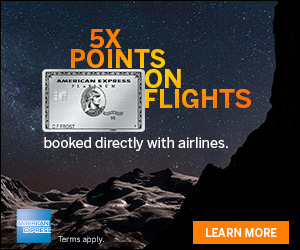 AAdvantageGeek also reminds us that Citi Platinum Select card holders can earn an additional 10% off AA award travel. Simply redeem your miles and a 10% discount will be applied to the award ticket. Ten percent miles back on AAdvantage miles redeemed by cardmembers, up to 10,000 miles per calendar year. 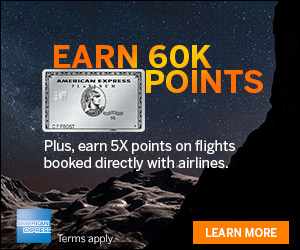 For example, if the cardmember uses AAdvantage miles to book a 50,000 mile roundtrip flight, they will receive 5,000 AAdvantage miles back in their AAdvantage account approximately 6-8 weeks after booking. This means that a discounted coach ticket to Montreal would go from 17,500 down to only 15,750 AA miles. The premium cabin award would go from 42,500 down to 38,250 AA miles. From distances such as Dallas the American Airlines award makes sense over using British Airways Avios points. From Dallas, British Airways Avios points requires 10,000 points per direction in coach. So 15,750 American Airlines miles makes more sense. But if you are traveling from say, New York City, British Airways only requires 4,500 Avios point per direction in coach. So it depends on where you are departing from. British Airways Avios points have their advantages for short and long haul flights, but you have to evaluate what makes more sense for your situation. We’ve spent a lot of time in Montreal. We typically stay at the W Hotel Montreal (review) or InterContinental Montreal (review) because of their location. But we’ve also stayed at the Hyatt in Montreal and like its location as well. Here is a random collection of our tips for Montreal. We have a tried and true driver, Joe, who has an Escalade and will certainly take care of your transportation needs while in Montreal. His mobile is 514.953.3435. He is always on time and the most friendly driver I’ve ever met. This guy was the Lebanese Heavy weight wrestling champion in like the late 80s. He is 6’5, athletic nice guy, that could handle any situation for you (not that one will come up) if you ever needed it. His cost from the airport is the same as regular taxi’s, and with the space, will be a cost saver. Try him out on this route once, and I bet you will use him for the entire trip. Here are some of the must visit restaurants. Go ahead, order a bottle of wine, a plate of poutine and enjoy the cuisine that this wonderful city has to offer. La Queue de Cheval – Very nice steak restaurant with a cigar bar. You can try the cuban cigars and the Kobe beef here. Cafe Ferreira – Portuguese restaurant with very cool atmosphere, reservations are a must or you won’t get in. This is one of our favorites. Cavalli – The food is ok. Urban feel and the restaurant is close to the next restaurant. Le Brasserie Les Pois Penche – Few blocks from center of town. French cuisine with a sea food focus, try the whole sea bass. They have a great wine menu. Barroco – Near the W Hotel Montreal. My very favorite restaurant in all of Montreal. A small french restaurant with the best atmosphere. Ask for the “nook” table which seats 4 in the corner. Located in old Montreal a few blocks from the water. Make sure you budget time to visit the martini bar before you have dinner. They make some of the best martinis and cocktails, seriously. Just check out the video of their bartender making a maple old fashioned cocktail. Au Pied de Cochon – For the true Gluton try the pigs head appetizer. No joke they brought out a pigs head for us to share between 8 of us. Joe Beef – Awesome food and wine list, very local, but maybe a little to far out for you and the crew to venture, but had to mention because of the food. L’Express – Very local joint in the arts district, great frois grois, bone marrow, French wine, and for desert the Il Flotante “dome” of ice cream. Gandhi – Best Indian food in Montreal. Located in Old Montreal. Le Garde Manger – Located in Old Montreal close to Barroco. Not a very advertised place, but is always packed. This is one of our weak spots, but we’ll share a few for you to consider. Wunder bar at W hotel – Go no later than 11 PM. This place gets crazy. Santos – Cool lounge with some food. La Queue de Cheval – For the cuban cigar lover. We are giving away a Hyatt Platinum Extra to one lucky reader who shares their favorite thing to do in Montreal. The winner will receive one Hyatt Platinum Extra certificate good for (1) Complimentary food & beverage, or (2) 1,000 Bonus Hyatt points, or (3) Regency Club upgrade or (4) complimentary beverage at Hyatt Place and Summerfield suites. What is your favorite thing to do in Montreal? We’ll select one lucky winner at random on Sunday to award the Hyatt Platinum Extra. Montreal is an attractive city to visit in the summer. It gets even more attractive when you can get a discounted award ticket. We’ve shared a few of our favorite spots to see while in Montreal. There is so much to do and we couldn’t list everything. So appreciate if you can share your tips. What is your favorite thing to do, place to see when in Montreal? 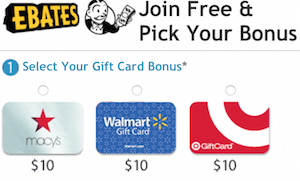 Points, Miles and Martinis will earn a referral fee for successful credit card applications through the associated links in this post. As always, we appreciate your support for the blog. Thanks for the tips! I’ve been wanting to go here for a while, and might have headed to a conference this summer if I weren’t so busy at school. Im going to Montreal for the July 4th break so this article is right on time. It will be my first time there going on Amtrak so I dont have any favorite things to do. I will probly use the public transit and might rent a car for a day trip to Quebec City if time permits. I am looking forward to the french acandian experience. I love Marché Jean Talon. I wish more streets were closed to vehicular traffic in the U.S.
Montreal is my second home (my wife is Quebecois), so I spend a lot of there. I have to agree, the summer months, especially July and August, are magnificent in Montreal. The city truly comes alive in the small window of fantastic weather. The Mile End (pronounced My-Lan) neighborhood reminds me of Brooklyn. Great vintage stores, fun restaurants, and amazing cafes. If you visit this part of the city stop at Le Depanneur Cafe. This small cafe usually has a musician either strumming a guitar or playing the house piano, and the coffee and sweets are delicious. The vibe at the cafe matches the city as a whole very well. Au Pied de Cochon is also well known for it’s poutine au foie gras and their fries alone are just really good. @Leonard it will be a very short day trip since it’s 3 hours each way when there’s not a lot of traffic… and the heavy road construction will not help. I would recommend spending at least one night in old downtown Québec City for a “as close as you can get” European experience in North America. To add to what sublimesublime said, the Mile End is really nice but the rest of Plateau Mont-Royal is definitely is must see (also less English speaking so at least in my POV it’s more authentic). Finding a dive bar, ordering a Molson and trying to learn Québécois French talking to the locals. I have also had interesting nights in Montreal talking to people visiting from Alberta or Calgary and listening to them complain about the “damn socialists” in Quebec. My favorite thing is the Notre Dame church. I love the interior and the light show. I like to visit a friend at McGill! You have to go to Stash Cafe! Great Polish food….try the pierogy…. My husband, son and I are going for our first time the end of July. My son is 18 and wanted to go somewhere where he can legally drink and gamble. So I am sure the casino will be at least one of his favorite places! We are staying at the Hilton Bonaventure. The rooftop pool looks cool. I hope it measures up. Eating a bagel from St. Viateur and getting an extra dozen to take home with me. The best bagels I’ve ever had… And this is coming from a New Yorker. I love to walk around old Montreal. Great atmosphere! Think it is the most beautiful city in Canada. I love visiting the Montreal Museum of Fine Arts. The columns and solid look of the building always bring a smile to my face. I’m excited to go back. I can’t share yet because this will be my very first trip there! I look forward to discovering wonderful things to share about thisvexciting city. The Jazz Festival in Montreal is always fun! @JD Thanks for the tip I probly will stay the night when I go to Quebec City and suggestions on Accommodations. @Leonard almost all my family lives there so when I visit I don’t need to pay a cent *smile* so, unless you need hotel points, I’d recommend looking for a B&B within the walled part of the city. Even people who live around Québec City do that for a nice staycation, also it can be very romantic. I can’t believe you posted this today. I’m on my to Montreal as I type this. Staying at the IC Montreal as an RA, my reservation is already showing an upgrade to an ISuite, can’t wait to get checked in. Anyway the Jazz Festival this weekend is a great thing to do in Montreal. The food variety and quality in Montreal is amazing. Like a quick visit to Europe just across the border. The Jazz Festival is one of the biggest ones. Also, views from the top of Mont Royal are amazing, especially at dusk. My favorite thing to do in Montreal is head ice skating on one of the many neighborhood lakes in the winter. The neighborhood gathers with their skates and its always a fun time. I love museums and I would recommend the Stewart Museum. They currently have a special exhibition of the origin and evolution of domestic kitchens in North America. In addition to that, there really is something to interest everyone who visits. I love the coolness of summer, esp coming from Texas! I love all the restaurants! One of my fav cities. In July the city hosts a “Juste pour rIre” (Just for laughs) bi-lingual comedy festival. There are performances in venues indoor and out and the streets literally ignite with fun. 2 years ago I watched (actually stood under) a circus, danced in the world’s smallest disco and watched circus performers twirl around 2 stories high. I love walking around the underground city! I love to visit Jean Talon Public Market! Wandering the underground mall shops, and people watching! Eat lots of excellent French food. +1 for jean talon and vieux montreal! I know that I’m late to the party, but go visit Mary Queen of the World Basilica, near the Bell Center. It’s a scale model of St Peter’s in Rome. No better city in the world to do absolutely NOTHING!